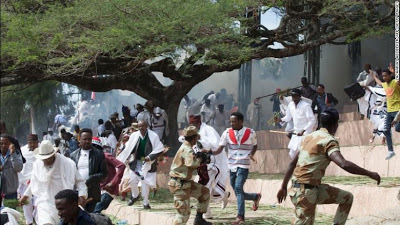 The Ethopian government on Sunday declared a state of Emergency following months of violent anti-government protests, especially in the restive Oromia region of the country. "A state of emergency has been declared because the situation posed a threat against the people of the country," Ethiopian Prime Minister Hailemariam Desalegn said on state-run television on Sunday. Ethiopian Broadcasting Corporation (EBC) reported that the state of emergency was a means to "deal with anti-peace elements that have allied with foreign forces and are jeopardising the peace and security of the country".